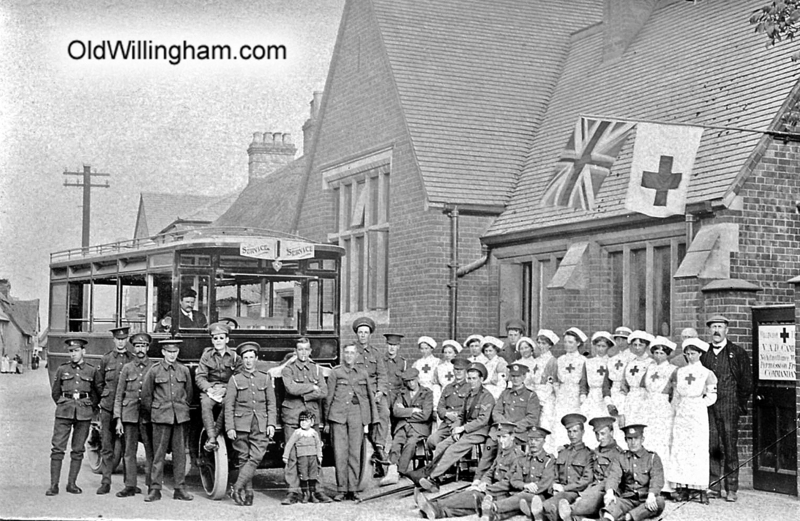 This is a well-known picture taken outside the Old Church Hall in Church Street during the first world war. It seems appropriate to include it this month after the centenary of the Battle of the Somme. The Church hall was converted into a hospital and here we see the nursing staff presumably with recovering patients well enough to get out of bed. There are crutches on the floor in front of the men sitting down. Although this was the main hospital, men were treated in various locations around the village including the bell tower of the church where names carved by patients can still be seen today.